If you’re considering attending beauty school, but aren’t sure what program is right for you, why not apply to a program that offers expert training in just about everything? Brittany Beauty School in Levittown, Long Island, has recently joined forced with two other excellent cosmetology schools to become a career training powerhouse. Brittany Beauty School dates back to 1968, when it was established by Margaret Falcaro who was the owner and director of Brittany Beauty School in Levittown, New York. In 2000, Brittany Beauty School was purchased by Gary Ferrara, a licensed Cosmetologist, Manhattan Salon Owner, and 2nd generation school owner. In 2004, the school was spun off as an independent institution and the name was changed back to its original Brittany Beauty School. The Owner, Gary Ferrara partnered with Vincent J Ferrara and opened a second location in the Bronx. In 2010, the partners purchased a third school, Gloria Francis School of Make-Up Artistry, in Hicksville, LI expanding the course offerings to include Esthetics, and Waxing. In 2016 Brittany Beauty School was at it again. It acquired Hair Design Institute in New York City and Brooklyn bringing the school system to 5 locations across 3 boroughs and Long Island. As a premiere school for appearance enhancement offering multiple programs including Hairdressing & Cosmetology, Esthetics, Nail Technology, Waxing and Make-Up Artistry and in different languages Brittany Beauty School was no longer a one hit wonder. As such the school system was re-branded for what it is today: Brittany Beauty Academy. Our mission is to afford our students the opportunity of a quality education in the appearance enhancement field. In this way, we will impart our students with the knowledge necessary to pass the New York State Board exam and achieve licensure. We further strive to instill a sense of professionalism and enable the graduate to obtain entry-level employment in their chosen field. 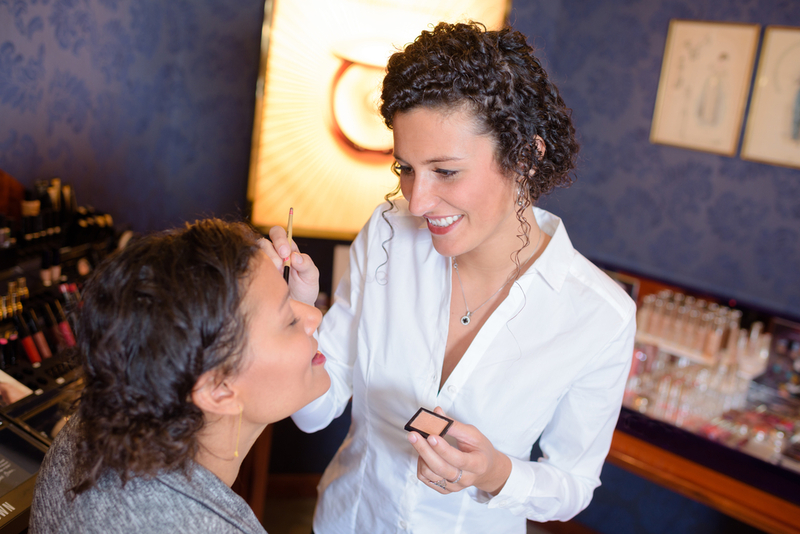 With an emphasis on education and a shared commitment to preparing their students for the New York State Board licensing exam, Brittany Beauty Academy is the optimal choice for pursuing your career. Brittany Beauty Academy emphasizes small classroom sizes and low student-to-teacher ratios for better access to learning, and they even offer a cosmetology program taught fully in Spanish. The academy aims to prepare their students for job placement after graduation and offers financial aid options to help students fund their career advancement. Now applicants can apply to one school and reap the benefits of an entire team of beauty professionals. Applying to the Brittany Beauty Academy gives you access to a hairdressing and cosmetology program, nail technology program, esthetician courses, waxing, and makeup artistry instruction. All five school and salon locations are licensed by the New York State Education Department and accredited by the NACCAS. For questions about Brittany Beauty Academy’s programs or application process, contact the beauty school online or call (877) 227-2434 today!